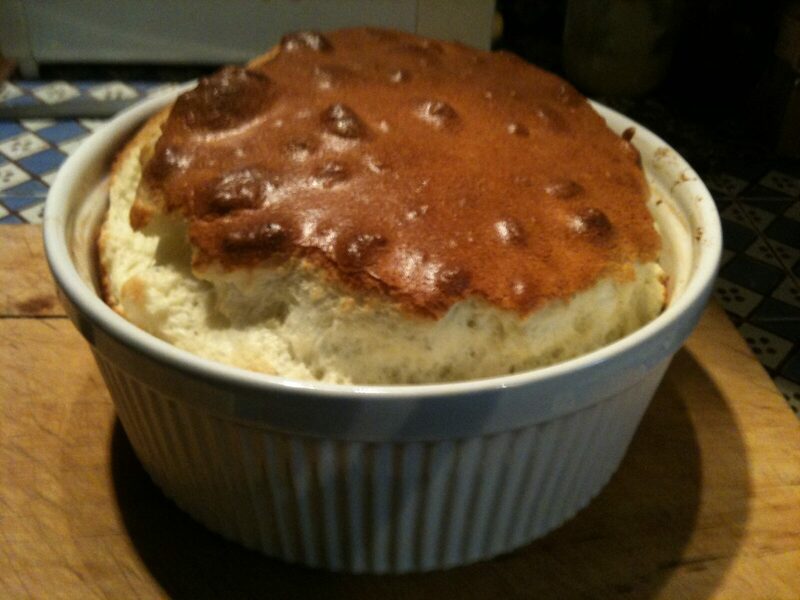 I first started making cheese soufflés while living in Moscow, where I was posted as a correspondent in the 1980s. Those were dark years with limited options for grocery shopping. 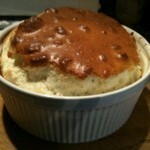 But one could always find the ingredients needed for a soufflé — eggs, flour, butter, milk and cheese. I alternated between the recipes of two of my favorite cookbooks — The French Chef Cookbook by the unmatchable Julia Child, my first and most important influence in becoming a French chef, and The Vegetarian Epicure by Anna Thomas, a wonderful book. Over the years I have simplified these recipes to come up with a quick and easy version of this most ethereal of culinary creations. This entry was posted in 4. Omelets, Soufflés, Quiche and tagged cheese, roquefort, soufflé. Bookmark the permalink.